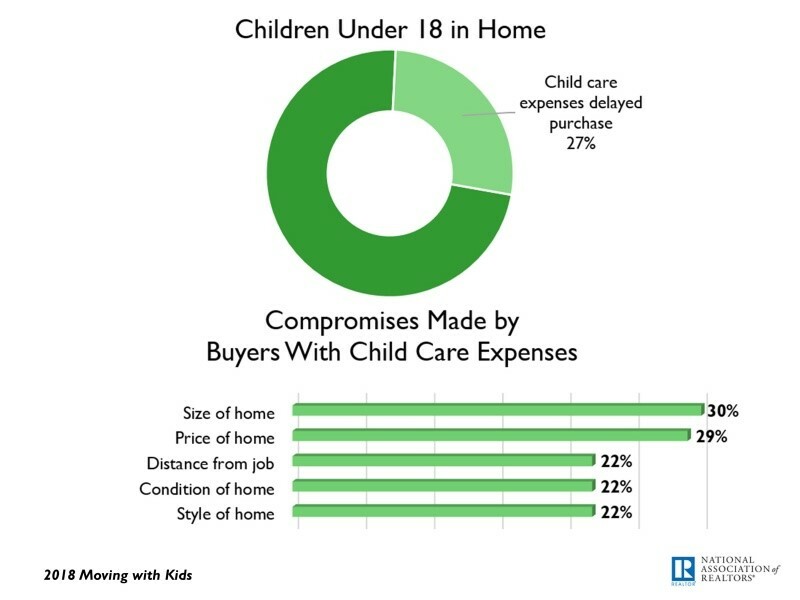 The latest Moving With Kids report from the National Association of REALTORS® (NAR) takes a closer look at the unique needs of homebuyers with children under the age of 18 in the home. Neighborhood factors in choosing a home, how the buyer found their agent, and criteria for finding just the right home are all distinctive to those buyers who have children. 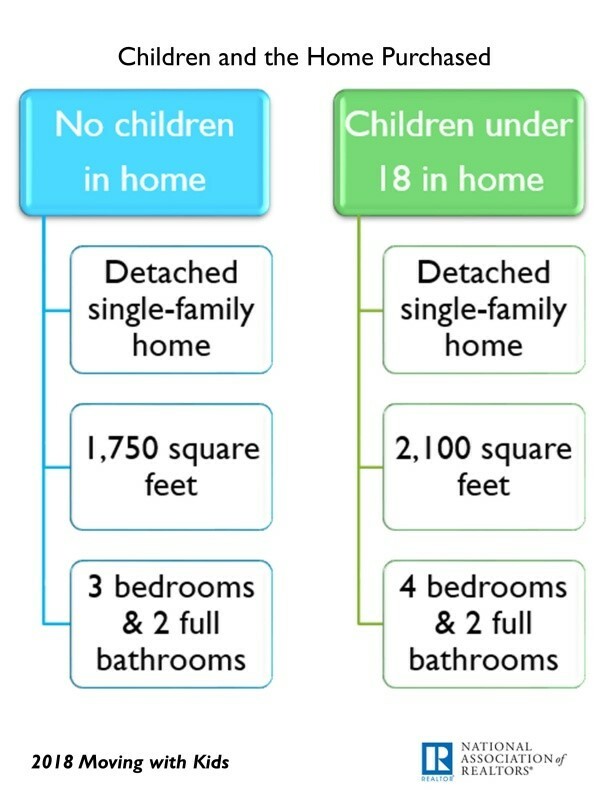 The choice of neighborhood is one of the key differences between those who have children under the age of 18 and those who do not. Understandably, schools play a large role in their choice. Fifty percent of buyers who have children consider a neighborhood based on the quality of the school districts, and 45 percent choose a neighborhood by the convenience to schools. 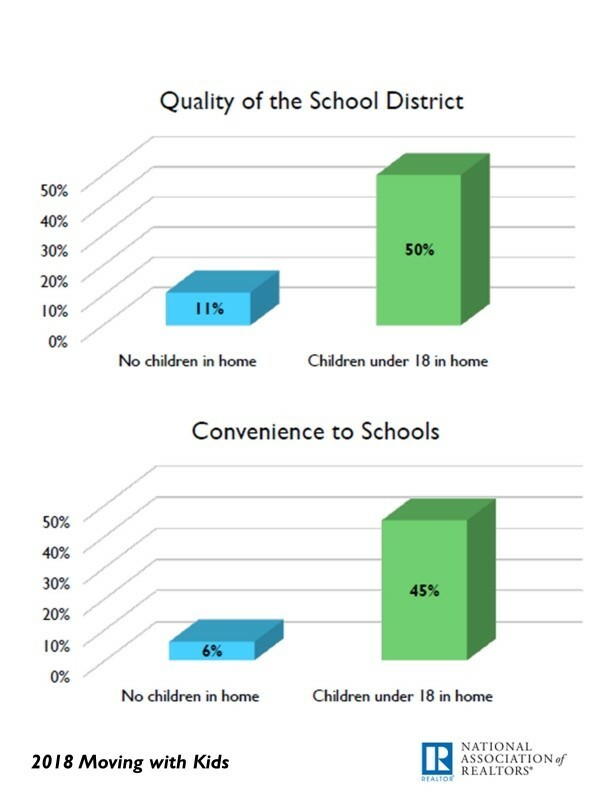 In comparison, for those buyers who did not have children in the home, only 11 percent made choices based on school district quality and 6 percent based on convenience to schools. Eighty-seven percent of buyers, regardless of children in the home, purchased their home through a real estate agent. 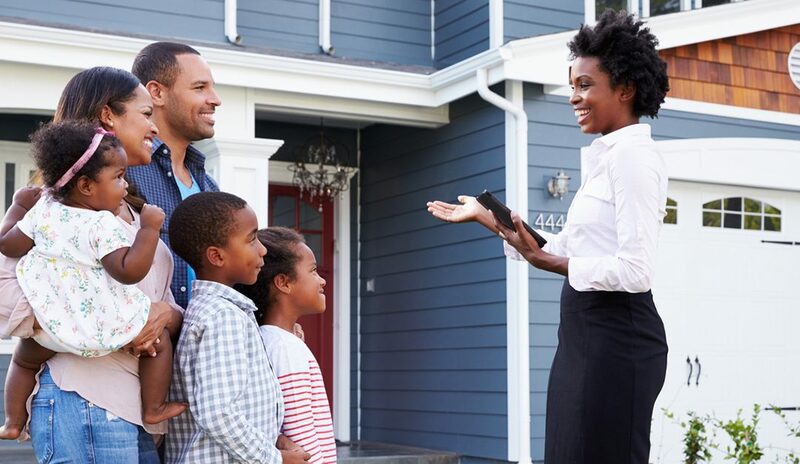 When finding an agent, referrals by a friend, neighbor or relative are slightly more common for homebuyers with children (43 percent) compared to those without children (40 percent). Homebuyers with children are slightly more likely to use an agent they’ve used before (13 percent) compared to those without children (11 percent). Twenty-seven percent of homebuyers with children were delayed in their home-buying process by the cost of childcare. For those buyers who had childcare expenses, 30 percent compromised on the size of the home and 29 percent compromised on the price. Other compromises that were made by buyers with childcare expenses included distance from job, condition and style of home. Finding the right property is the most difficult part of the buying process, regardless of children in the home. This is true for all buyers and for homebuyers with children in the home, both at 54 percent. The most frequent choice of home for both buyers with children and those without children are single-family detached homes. On average, buyers with children purchased 2,100-square-foot homes with four bedrooms and two full bathrooms. On average, buyers without children purchased smaller, 1,750-square-foot homes with three bedrooms and two full bathrooms. Meredith Dunn is the research communications manager for the National Association of REALTORS®. For more information, please visit www.nar.realtor.